Rahul Sankrityayan Mahapandit Rahul Sankrityayan, a prominent Buddhist scholar and creative Hindi writer, was born as Kedarnath on 9 April 1893. His father, Goverdhan Pande, of village Kanaila in Azamgarh district, Uttar Pradesh, was a farmer of modest means. He was married to Kulwanti Devi, the only daughter of Ramesha-ran Pathak, of village Pandaha in the same district, situated at a distance of about ten miles from Kanaila. Kulwanti used to stay with her parents at Pandaha, where Kedarnath was born. His maternal grand-father, an ex-serviceman, was very fond of Kedar and wanted to give him the best of education. So at the age of five, Kedar was sent by him to the nearby Primary School at 'Rani Ki Sarai'. He was very good at studies and used to complete the course much earlier than other boys. To quote his own words: "Reading was not at all difficult for me. In fact, for the studies which I could complete in four months, unnecessarily twelve months of mine were being wasted". Though so good at studies, yet Kedarnath had no interest in the studies. Inspired by this philosophy of 'seeing the world' and his rebellious and adventurous nature, prompted Rahul to run away from home when he was just 13 years old and had only passed the sixth standard. So in 1907, he left his home with just Rs. 22 in his pocket and headed for Calcutta. There he met some other youngsters like him and stayed with them. But they could not sustain for long for lack of employment. Hence, after four months stay in Calcutta, he returned to village, 'and resumed his studies. But he still dreamed of ‘seeing' the world. And he again disappeared from his home. This time he was lucky to get a job as an Assistant at a famous tobbacco shop in Calcutta. Here on eating some intoxicating sweets, he fell seriously ill and had to be hospitalised. On recovery, he returned to his village Kanaila. While his employers were urging him to return to Calcutta, Rahul's mind was working in another direction. He wanted to learn Sanskrit, and to lead the life of a mendicant. With this resolve in mind, he took to the road again, and went on foot to Ayodhya, and Moradabad. As he had no money, he travelled without ticket to Hardwar. From there, he travelled in the company of some wandering sadhus to Rishikesh, Devaprayag, Badrinath, Kedarnath, Jamnotri and Gangotri. Finally he, along with his classmate Yogesh, returned to Varanasi in October 1910, where he lived in the ashram of Chakrapani Brahmachari and started learning Sanskrit. There he even tried to get the blessings of some gods and goddesses by undergoing difficult siddhis and namajap. But when for eight days no god or goddess gave him 'darshan' he felt so much disappointed and distressed that he consumed some poisonous fruit which nearly killed him. This shattered Rahul's blind faith in the gods and goddesses. In the meantime, he also came into contact with Pandit Ramavatar Sharma, who was a great scholar and rationalist. Encouraged by him, he took admission in the seventh class in the Dayanand School at Varanasi, where he learnt English. But formal education eluded him again. About this time Mahant Lakshman Das who had his math at Parasa in district Chhapra, Biliar, came to Banaras in search of a disciple. He saw Rahul, and asked him to accompany him to Parasa. Rahul agreed to the proposal thinking that by becoming a Sanyasi he might be able to continue his studies, and also say 'goodbye' once for all to his home. Accordingly, in September 1912, he went to Parasa where he was given initiation by the Vaishrava Mahant by reciting some mantras and also stamping his body by a hot brass rod. His name was also changed from Kedarnath to Ram Udar Das. 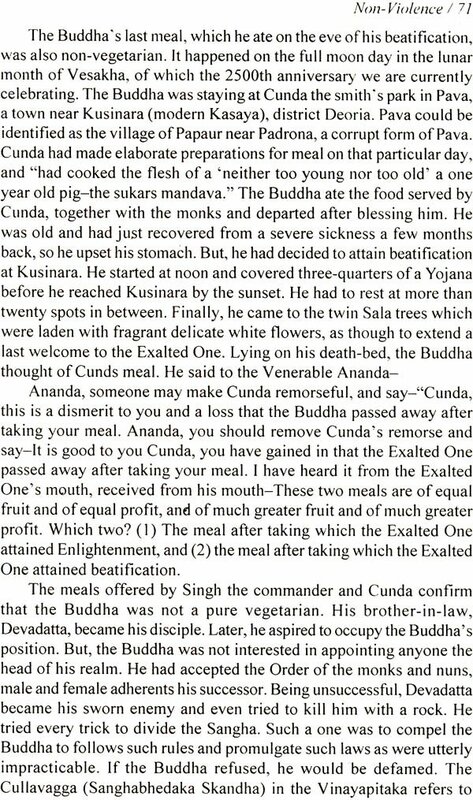 At Parasa, the life was comfortable enough to eat but there was practically no scope for him to continue his studies So the 'hunger' of knowledge and 'lust' of travel prompted the rebellious Kadar, now Sadhu Ramodardas, to leave Parasa. Hence, once again, in July 1913, he took to the road. First he went to Hajipur. Then travelling via Asansol, and Kharag- pur, he reached Puri. After seeing the Jaggannath temple at Puri, he went to Madras. As a sadhu, he toured the whole of South India visiting Punnamalai, Pachchaperumal, Tirumishi, Tinnaur, Tirupati, Tirukalikundam, Kanchipuram and Rameshwaram. At Tirumishi, he stayed for a long time and learnt the Tamil language. After completing his visit to the South, he returned to Parasa in 1914 via Pune, Nasik, Ujjain, Ahmedabad, Bhopal, Allahabad and Varanasi. At the math, he "again found the life stiffling and not conducive to his ways of free thinking and to the achievement of his ideal of acquiring more knowledge. So he again left Parasa secretly and went to Ayodhya. Here he came in contact with the Arya Samaji preachers and started studying the Vedas. On coming to know of his whereabouts, his father came to Ayodhya and took Rahul home. But soon he disappeared again from Kanaila and went to Paryag (Allahabad) where a Kumbh mela was on. After the Kumbh fair was over, he tried to find some suitable job which might enable him to learn while earning. But in vain. Then he came to know that at Agra there was an Arya Samaj institute where education as well as boarding was provided free. Accordingly, he went to Agra and joined the Arya Musafir Vidyalaya in January 1915. For two years, he learnt Sanskrit, Arabic, and theology of various religions. He improved upon his knowledge of English as well. The changed environments influenced him so much that Ramodardas again started writing himself as Kedarnath Vidyarthi. After completing the two year course at Agra, he went to Lahore and took admission in the Sanskrit Department of the D.A.Y. College. At that time, Lahore was the stronghold of the Arya Samaj movement. Rahul was also enrolled as an Arya Samaj activist. In 1916, he was deputed to visit the Arya Samaj centres in U.P. While he was at Ahraura (Mirzapur), his father came once again in search of him, and pressed him to return home. But Rahul was adamant. He even tried to run away from Ahraura. His heart-broken father managed to catch him at the railway station, and accompanied him upto Banaras. On the way, Rahul impressed upon his father not to stand in his way as he was determined to follow the path already chosen by him. His father, Goverdhan Pande, last of all realized the futility of taming the rebellious son, and with a heavy heart, took leave of him. This was the last meeting of father and son. While parting, Rahul took a vow not to enter the Azamgarh district till he had reached the age of fifty years. 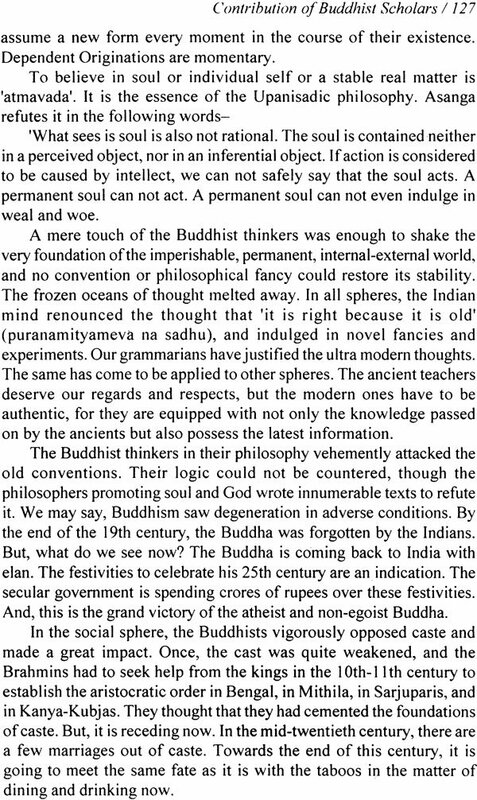 Mahapandit Rahul Sankrityayan was a great linguist, philosopher, scholar, and a rare genius of the twentieth century. In the realm of literature, he tried almost each and every genre, and did it so successfully. His prolific contribution as a writer of novels, short fiction, drama, autobiography, biography, travelogue, essay, science, sociology, politics, philosophy, theology, history, literary history, folklore, thesis, and linguistics fetched him immense renown. Mahapandit Rahul Sankrityayan was greatly impressed by Lord Buddha, his doctrine, and his philosophy, solely because he showed man the path of liberation from suffering. A similar accomplishment came from Kart Marx, the great thinker of the modern age. 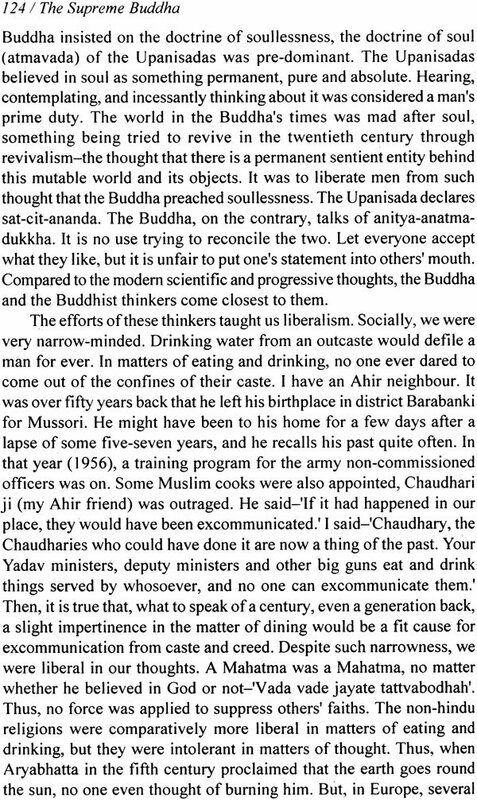 The Mahapandit mingled Marxism and Buddhism and used it to the benefit of the suffering Indian masses. His biographies of Kart Marx, Stalin, Lenin and Mao established him, a Buddhist, as a Marxist thinker too. He believed that only the Buddha and Marx could liberate the dalit, the exploited, and the proletariat Indian masses. The Mahapandit was associated with Agra in his youth, when he studied Sanskrit at the Arya Samaj in Namner near Agra Cantt., and was an active Arya Samajist. As such, he was closely associated with the Arya Samaj at Hing Ki Mandi. 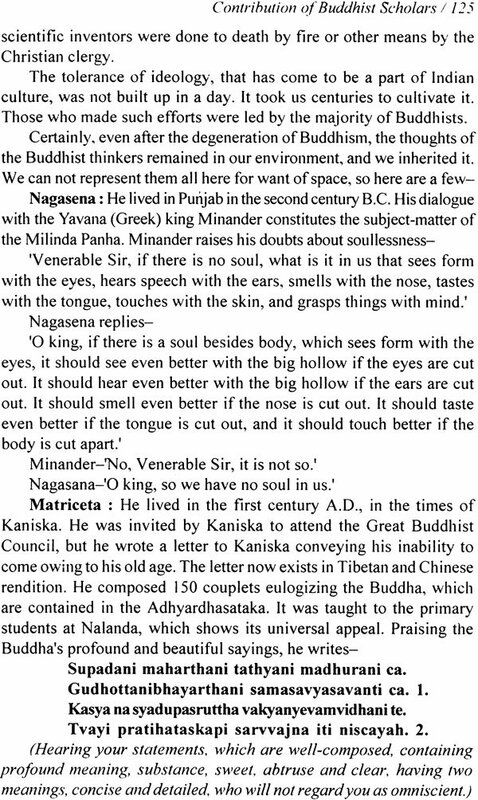 An erudite Sanskrit scholar, he was most proficient in theological debates. Later, as a man of great renown and an eminent Hindi writer, he maintained close relations with Pandit Rishikesh Chaturvedi, a famous writer in Agra, and whenever in Agra, he stayed at the latter's residence. In December 1956, when Baba Saheb's ashes were brought to Agra, there was a large gathering in front of the Purvodaya Buddha Vihara, where thousands of Baba Saheb's followers embraced Buddhism. 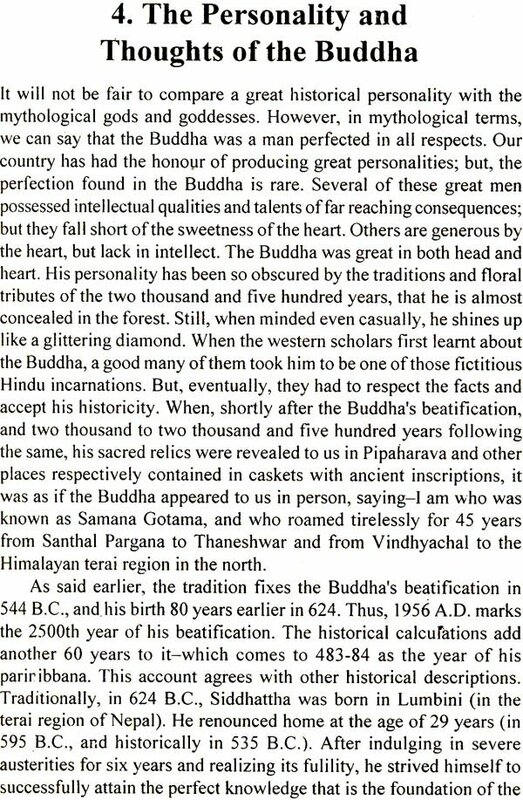 Following that, Mahapandit Rahul Sankrityayan made frequent Visits to that Vihara at Chakkipat. Once, while Rahulji was staying at Pandit Rishikesh Chaturvedi's residence, the latter passed some remarks on the Buddhists of Agra, which annoyed him greatly and he stopped staying there. During his further visits to Agra, Rahulji put up at the Purvodaya Buddha Vihara. In his remark, Rishikeshji had said, "Rahul ji! you should not visit these Buddhists' homes, for they criticize us so bitterly." Rahulji replied, "Chaturvediji! Have these people abused you here at your place, or have you yourself heard them abusing you?" Chaturvediji was speechless. I had several opportunities to see Mahapandit Rahul Sankrityayan closely. I studied a number of his books. I have gone through Volga Se Ganga, Bhago Mat Duniya Ko Badlo, Jaya Yodheya, Buddhacharya, Vinaya Pitaka, Tumhari Kshaya, Darshan-Digdarshan and Mahamanava Buddha (the translatin of which is in your hands) several times. Each time, new aspects and depths of knowledge were opened to me. His greatest achievements in the realm of Hindi literature and philosophy will never be forgotten. The present book is a great and perfect work of Mahapandit Rahul Sankrityayan. 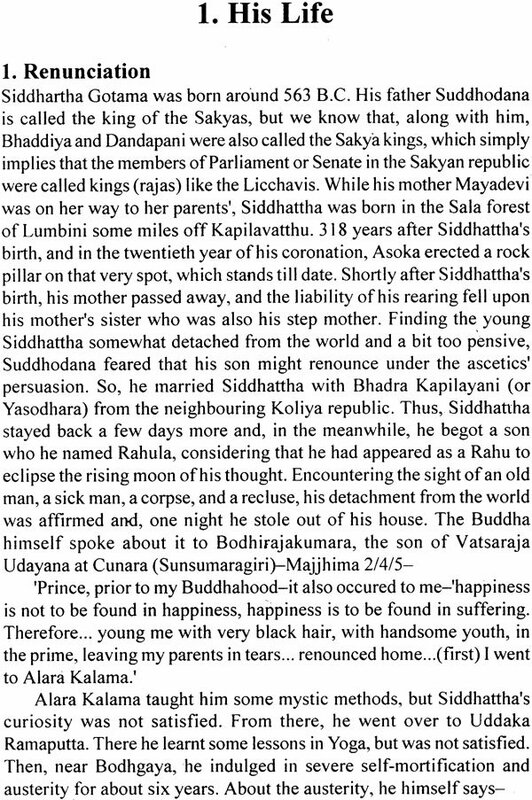 It gives a complete insight into the personality and doctrine of Lord Buddha. Those who are interested in knowing about the Buddha, his doctrine, and his philosophy, need not struggle with the voluminous books of the Tripitaka. Such inquisitive ones will only have to peruse this book thoroughly to learn everything about Lord Buddha and his doctrine; I personally believe so. The book presents an intelligible account of Lord Buddha's life and teachings and furnishes a comprehensible synopsis of the four Noble Truths and the Eight-fold path. 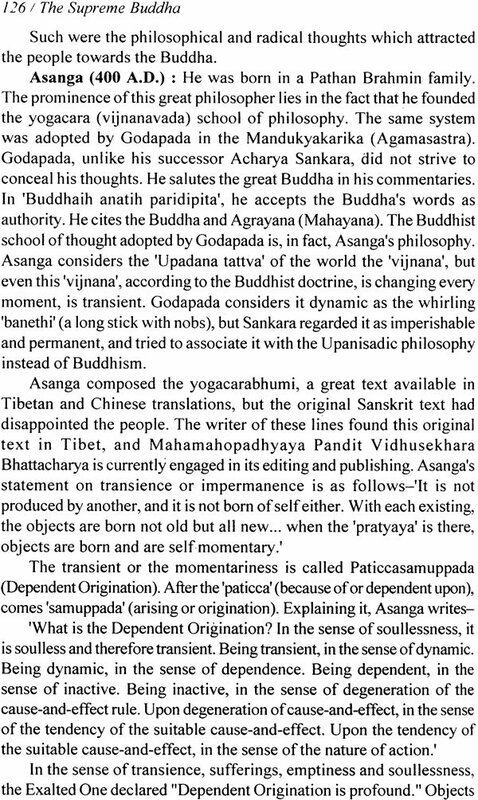 The description of Anathapindika's giving out of Jetavana makes a delightful reading. 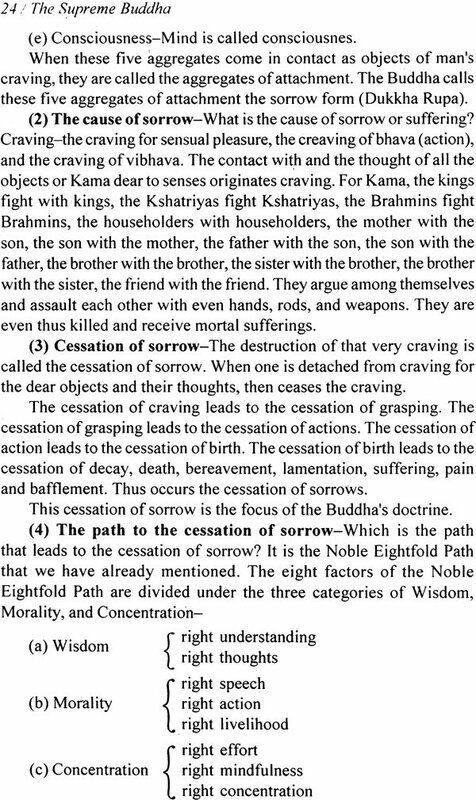 The last days of the Buddha and his great achievements are beautifully represented. The duties of the householders delineated here will be emulated by them to live happily. Non-violence assumes greater importance in the present age. By practising it, man can make his life ideal and attain the highest goals of life most easily. The Buddha was a master physician. That aspect of his personality is well brought out in this book. The caste in Indian society breeds numerous maladies. The revelation follows that the man is not to be judged by birth, but by virtues. 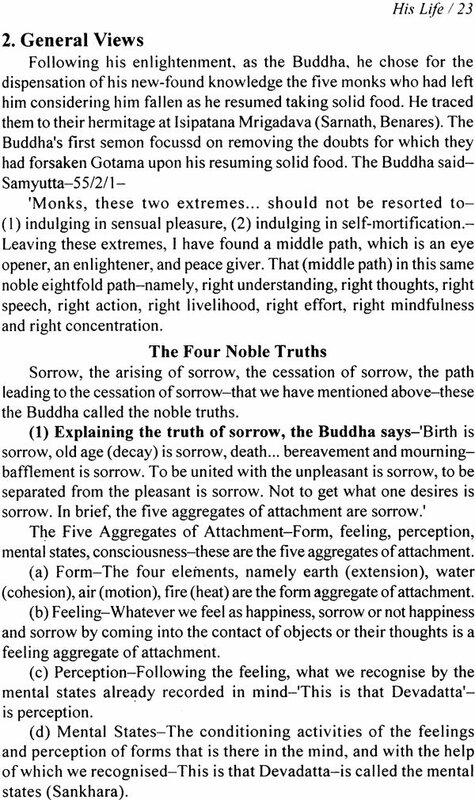 The Buddha was a great republican and democrat. He established his Sangha in the true spirit of democracy. It is a system of governance that has potentials for an all-round development of the nation. The book enlightens the reader about that. It also tells about morality, concentration, wisdom, and the Middle Path of the Buddha, through which man can attain the supreme liberation. The superstitious beliefs, humbug and ignorance prevalent in our country have caused it great damage. It is due to such superstition that the Dalit women are declared witches and burnt alive, small children are brutally sacrificed, and the women are burnt alive at the pyre of their dead husbands and glorified as 'Sati'. It is all happening due to superstitious humbug. The country is totally bereft of scientific attitude and scientific vision. In order to abolish superstitions, humbug and ignorance, it is essential to acquaint the masses with the Buddhist doctrine of transience, which is what this book earnestly does. Mahapandit Rahul Sankrityayan vehemently opposed the idea of a God. He regarded God as the greatest source of ignorance and was categorical 'in his criticism of God. Once, while the Mahapandit was staying at the Purvodaya Buddha Vihara, Chakkipat, Agra, Late Moti Lal ji, Arun, Late Bhagwan singh ji Vikal, Ven. Madhukar Pipalayan ji and myself decided to benefit from his presence in Agra and, therefore, called a meeting of the local Dalit and non-Dalit intellectuals, where we felicitated Rahulji. Speaking on that occasion, he said, "If you wish to do yourself good, you must get rid of the fictitious God. I have travelled all over the world. (Smiling) I met many who claimed to have seen ghosts, but none who could say with conviction that he or she had seen God. Thus, the fictitious God is the root of your ruin. God is the source of all ignorance, humbug and superstition." At the meeting, Rahulji delivered a profound speech. Rahulji was true to his words and duties. Once at the Purvodaya Vihara, on the eve of his departure to Lumbini, he displayed a ball of kneaded flour and said, "This ball of flour contains the hair of an old Chinese woman. She told me that she would not be able to travel to India, and requested me, as I was coming here, to bury the hair where Sakyamuni was born. So, I am going to Lumbini to bury it." The incident shows his sense of committment and duty. Substantially, I regard this book as a great work. Rahulji has established that brevity is the soul of intelligence. As a philosopher, I have always felt a great need for this work. When I advised Bauddhacharya Shanti Swaroop Bauddh ji to reprint the work, he at once agreed and initiated the process. As a result, the book is in your hands. In fact, it will fill a big gap. I congratulate Bauddhacharya Bauddh ji for his successful efforts. The book is greatly demanded by the seekers and the readers. Bauddhacharya Shanti Swaroop Bauddh has done a meritorious job to publish this book.